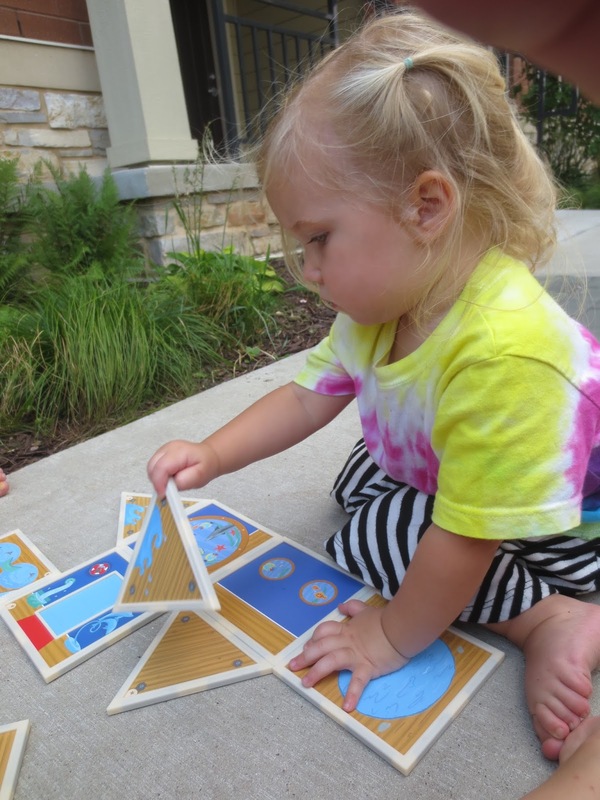 What happens when you take two really fun things (blocks + dollhouses) and mush them together? 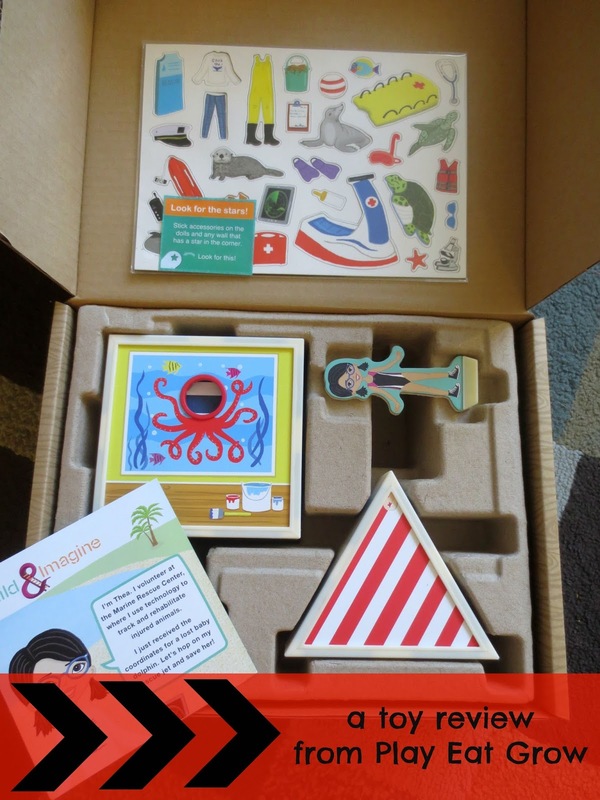 Why, you get Build and Imagine StoryWalls playsets ;). 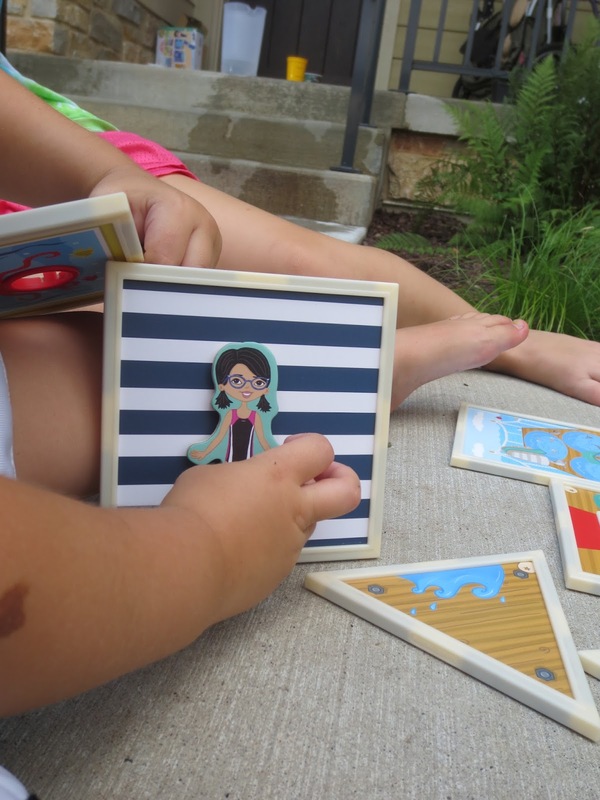 Designed for kids ages 4-8, these playsets allow kids to create their own storybook scene out of magnetic tiles and then jump right into play with it! 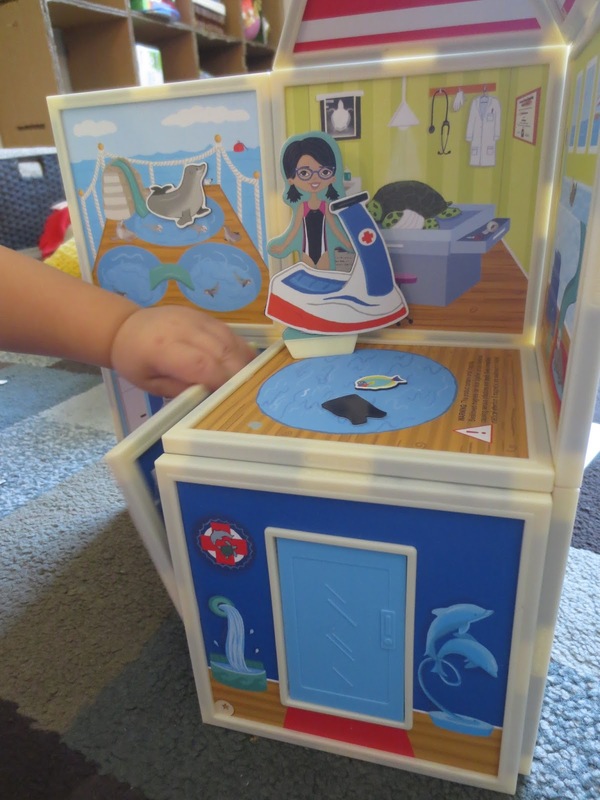 Each set includes doll(s), dual sided building panels, and magnetic accessories to take imaginative play to the next level. We got the opportunity to play with the Marine Rescue Center and the girls LOVED it! We met Thea, who spends her days rescuing and caring for endangered sea animals. The girls first carefully examined the building panels to check out their options- laboratory, a couple animal pools, ship control station, underwater observatory, and even an operation room! They quickly went to work, energetically discussing (ahem) what Thea should do first. At this point, we decided that it’d be best if one person played at a time, if you know what I mean. The girls weren’t shy about building a scene, tearing it down and then recreating another one that better fit what happens next in their story. I think this is one of my favorite things about the building set. A traditional playset’s static-ness prevents very many scene changes. I love that they can do what they need to do while still having the backdrop and tools they need to carry on the storyline. As for the quality, the set is durable and beautifully illustrated! The magnet accessories are thick (thank you, toymakers, thin magnet accessories last no longer than a day here in our house). The panels fit well enough together, but they aren’t made with really strong magnets (I’m guessing as a safety precaution), so keep in mind that kids younger than 4 might get really frustrated with the ease at which buildings can be toppled down. Not that I have any experience with that :). The big girls did great with it and had no problems at all. Do you know what I also love about this set? It’s not super girly. (i.e. it’s not filled with pink and purple). While the doll in this set is a girl, other sets include a boy doll as well. Friendly for sibling sets that include both genders! To learn more about the Marine Rescue Center, as well as the other ones (Malia’s Beach House and Day at the Beach), you can check out their website, like them on Facebook, or follow them on Twitter. You can find these sets on sale both online and in stores (psst….I also hear that they are coming out with some new sets later this year– check out their Facebook photos for a preview! ).